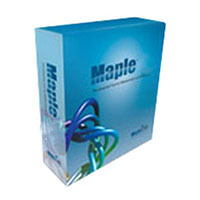 Maple – or Maplesoft – is math software that provides the user with an interface to analyze, explore, visualize, and solve mathematical problems. Maple also covers other aspects of technical computing, including visualization, data analysis, matrix computation, and connectivity. Faculty & Staff: The University has entered into a site license for Maple. It can be downloaded onto any University owned computer.